Last season, Person of Interest actually grew in the ratings. After looking like it was headed for cancellation, the numbers came back up and even hit a series high in March. Will the ratings keep growing or will they fall again? We’ll have to wait and see. 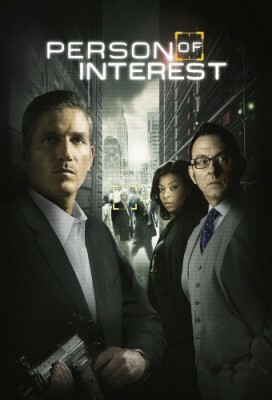 The second season of Person of Interest typically airs on Thursday nights at 9pm on the CBS network. The cast includes Jim Caviezel, Michael Emerson, Kevin Chapman, and Taraji P. Henson. Below are the TV show’s ratings for the 2012-13 season, the best way to tell if Person of Interest is going to be cancelled or renewed for season three. Final season averages: 2.9 rating in the 18-49 demographic with 14.41 million total viewers. 2.4 in the demo (0% change) with 13.16 million (+2% change). Season averages: 2.90 in the demo with 14.41 million. 2.4 in the demo (0% change) with 12.96 million (-2% change). Season averages: 2.92 in the demo with 14.47 million. 2.4 in the demo (-11% change) with 13.22 million (-9% change). Season averages: 2.94 in the demo with 14.54 million. 2.7 in the demo (-7% change) with 14.57 million (+2% change). Season averages: 2.97 in the demo with 14.61 million. UPDATE: Person of Interest has been renewed for a third season by CBS. 2.9 in the demo (+4% change) with 14.34 million (-2% change). Season averages: 2.99 in the demo with 14.62 million. 2.8 in the demo (-3% change) with 14.57 million (+3% change). Season averages: 2.99 in the demo with 14.63 million. 2.9 in the demo (-3% change) with 14.22 million (-4% change). Season averages: 3.01 in the demo with 14.64 million. 3.0 in the demo (-3% change) with 14.87 million (0% change). Season averages: 3.01 in the demo with 14.66 million. 3.1 in the demo (-3% change) with 14.88 million (-5% change). Season averages: 3.01 in the demo with 14.65 million. 3.2 in the demo (-3% change) with 15.71 million (0% change). Season averages: 3.01 in the demo with 14.63 million. 3.3 in the demo (-3% change) with 15.67 million (-4% change). Season averages: 2.99 in the demo with 14.54 million. 3.4 in the demo (+17% change) with 16.23 million (+15% change). Season averages: 2.96 in the demo with 14.44 million. 2.9 in the demo (0% change) with 14.08 million (-1% change). Season averages: 2.92 in the demo with 14.26 million. 2.9 in the demo (0% change) with 14.18 million (-2% change). Season averages: 2.92 in the demo with 14.28 million. 2.9 in the demo (-7% change) with 14.43 million (-1% change). Season averages: 2.92 in the demo with 14.29 million. 3.1 in the demo (+7% change) with 14.57 million (-2% change). Season averages: 2.93 in the demo with 14.27 million. 2.9 in the demo (0% change) with 14.87 million (+9% change). Season averages: 2.90 in the demo with 14.23 million. 2.9 in the demo (0% change) with 13.66 million (-3% change). Season averages: 2.90 in the demo with 14.10 million. 2.9 in the demo (+4% change) with 14.03 million (+1% change). Season averages: 2.90 in the demo with 14.21 million. 2.8 in the demo (-7% change) with 13.93 million (-5% change). Season averages: 2.90 in the demo with 14.26 million. 3.0 in the demo (+3% change) with 14.58 million (+2% change). Season averages: 2.95 in the demo with 14.43 million. 2.9 rating in the 18-49 demographic with 14.28 million total viewers. Season averages: 2.90 in the demo with 14.28 million. Compared to its series premiere a year ago, the show was down by 7% in the demo (vs a 3.1 rating) but up by 8% in viewers (vs 13.33 million). This was Person of Interest’s best demo since April and best viewership since late March. Reference point: The first season of Person of Interest averaged a 2.9 rating in the 18-49 demographic and 13.31 million viewers. What do you think? Do you still like the Person of Interest TV series? Do you think it should be cancelled or renewed for a third season? I know this is an old article, but the season 3 final ratings averages were mistakenly posted on this page, when the season 2 averages were clearly a 2.9 rating in the 18-49 demographic with 14.41 million total viewers. Yeah, this series is one of the best… it has it all. there is a tiny mistake in this show’s ratings. there is two episode 14 and the last episode should be 22 . this season is over but you havn’t cocluded it yet . your welcome . but 2.9 demo – 14.41 million is the right final average ! Great show, perfect season final! Can’t wait for the next season. I love Person of Interest! !!!!!!!!!!! PLEASE RENEW FOR NEXT SEASON! !!!!!! This is the best darn show on tv bare none! Anyone who isn’t watching it is out of their freaking mind! This tv show has everything that makes a show GREAT: it has humor, action, suspense and drama. The cast is fantastic! Mr Caviesel rocks and the rest of his team are all great! I hope this show remains on the air for many years.